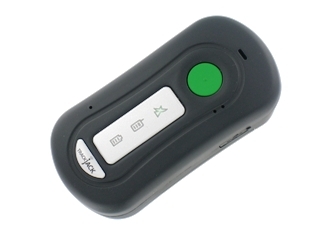 The mobile GPS track and trace system that allows you to easily track persons, goods or materials online. Users are easily alerted of an emergency situation through a unique alarm button. You work entirely online. After installation, login to your personal online account to manage all of your data and to view locations. Because you work online, it is not necessary to install any software and you can log in through the Internet from any location. The unique TrackJack app ensures that all of your data is available within reach on your smartphone or tablet. The TrackJack Basic Edition is equipped with alarm button as standard. When the green button is pushed, an SOS message is sent directly to the online account and optionally also by SMS. You can set the TrackJack BE 2.0 to suit your own needs through three different service levels. Each service level has its own functionalities.